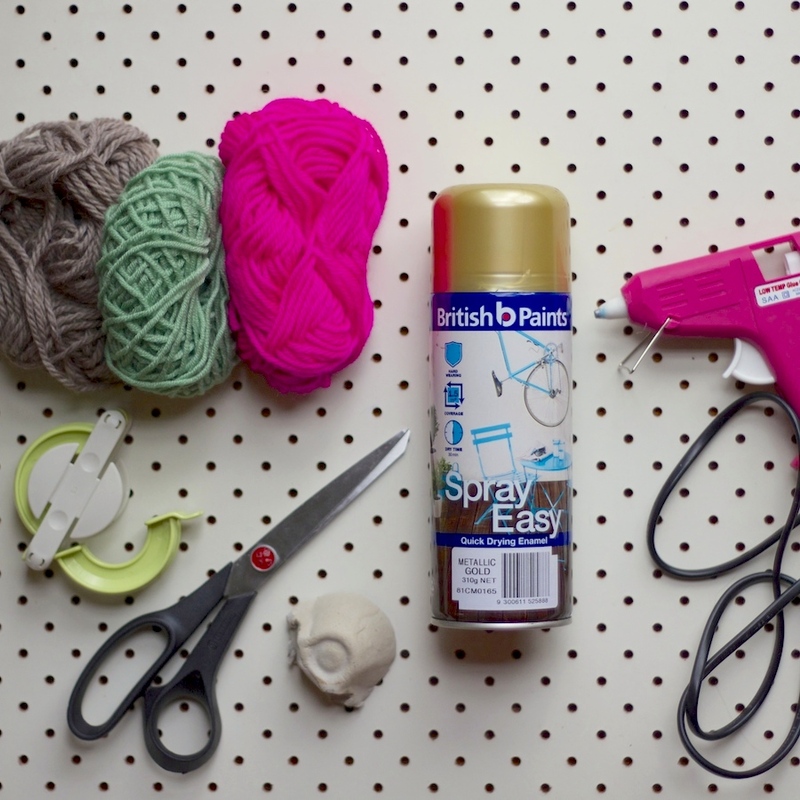 Glue (I highly recommend using a hot glue gun, much easier and less messy). Cardboard egg container (to use one cup section as the cacti's little pot). Some Paint (I used gold spray paint). 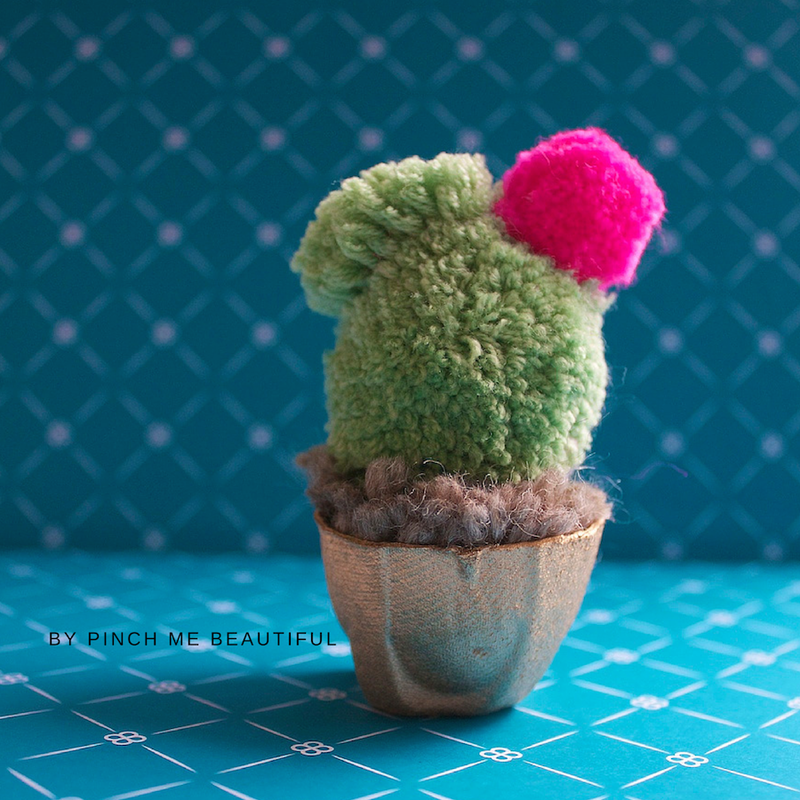 The trickiest part is now cutting your green pom-pom into the cactus shape, use my photo as your guide. Cut the pink pom-pom into a small neat ball (leaving the two center ties long!). Using the long centre ties on the green and pink pom-poms, tie your pink pom-pom in place (as in the photo). Make sure it is nice and tight. Take your brown pom-pom and cut it to size to fit snuggly into your egg container pot. 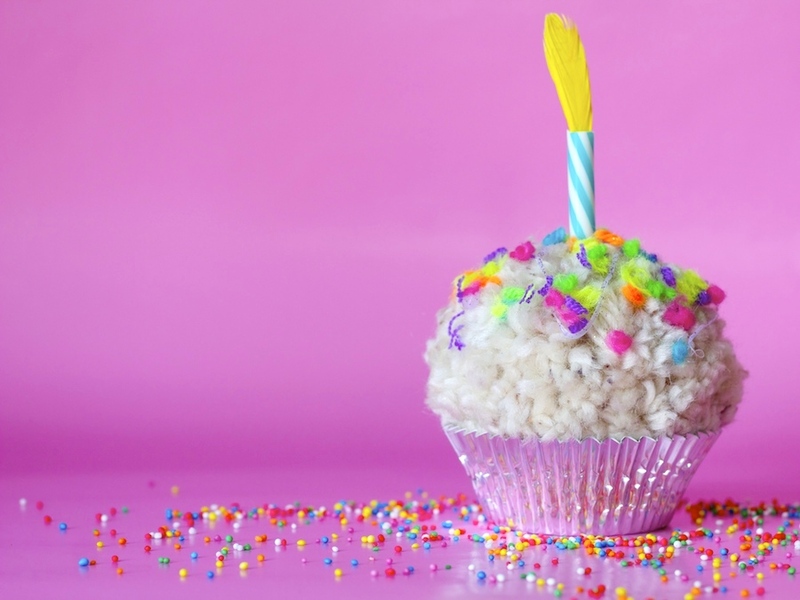 Using your hot glue gun, place some glue in the base and on the inside walls of the egg cup and sit the pom-pom in place before the glue cools. Allow a little of it to pop up so it looks like dirt. 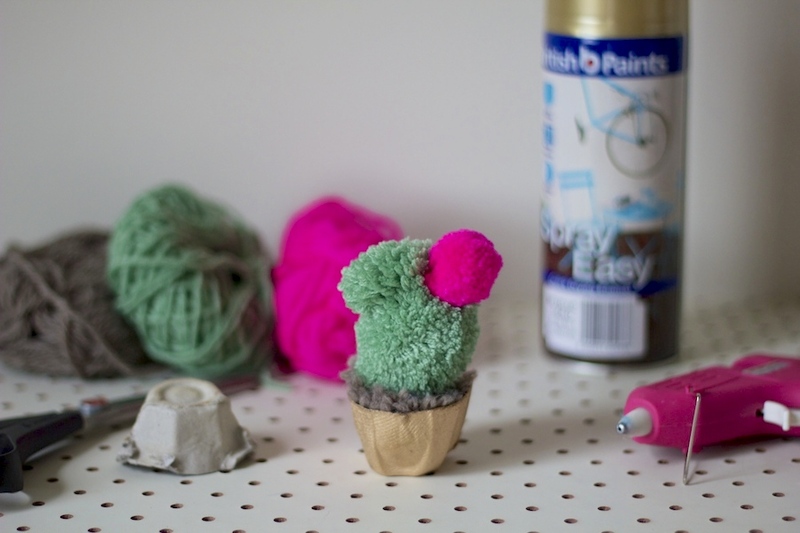 Now using your hot glue gun, glue the cactus pom-pom to the brown pom-pom. You will have to push down a little to make it stick. Allow good amount of time to dry well. That's it!! 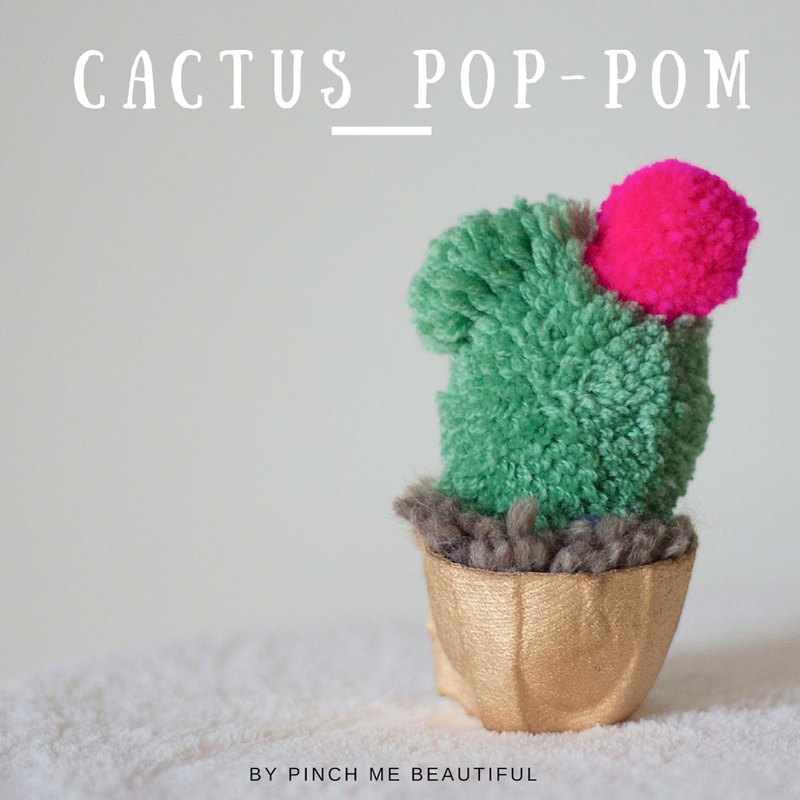 Tada... 'A Cactus Pom Pom'. 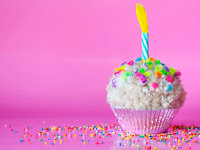 If you have enjoyed this little post, please share a comment below I would love to hear from you, or jump over to my Facebook page or Instagram. Oh my gosh! These are too cute. I am off to check out what wool I have in the house to see if I can make them without even going to a shop.